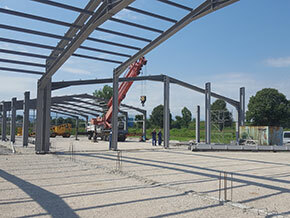 "Montagengineering" JSC, Bulgaria has a long-year professional experience in the field of installation and erection works in all industrial sectors. 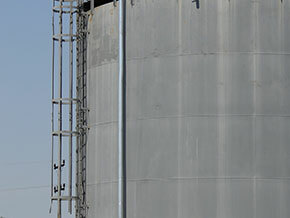 Plateworks fabrication - steel silos, vessels, tanks, gas ducts, non-standard equipment. Fabrication and erection of structural steel for halls, production workshops and buildings, steel warehouses; design and construction of steel buildings, installation of roof and facade panels and claddings. 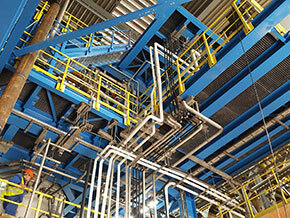 Fabrication and erection of steelworks for industrial plants, warehouses, infrastructure and civil construction projects, fabrication of support structures for technological equipment, pipe racks, non-standard equipment. Fabrication and erection of plateworks, bended and rolled and welded steel elements, plate rolled products - steel vessels, tanks, silos, air and gas ducts, bunkers, non-standard equipment - steel fenders, pontoons, mooring systems. 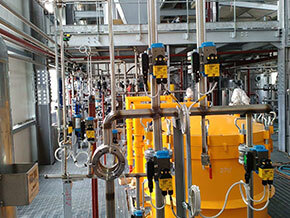 Industrial mechanical erection works, erection of technological equipment in all industrial sectors - boilers, compressors, pumps, mills and crushers, kilns and furnaces, ESP and bag filters, belt conveyors, screw conveyors, elevators, whole production lines, dismantling and reinstallation of plants. 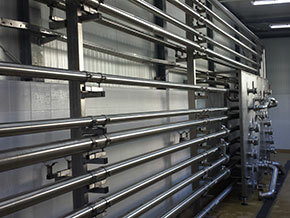 Prefabrication and erection of industrial carbon steel and stainless steel pipelines, pipelines under low and high pressure for steam and hot water, pipelines in the power and chemical industry, stainless steel pipelines for foods and beverages industry, erection of steel gas pipelines. 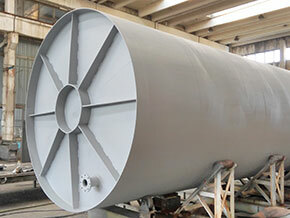 Prefabrication and erection of steel tanks and silos for petrolium, chemical products storage, technological tanks made of carbon or stainless steel, stailess steel tanks for the chemical and process industry, erection of tanks and silos in limited areas and operating plants.